Wind: Early from the southeast, mid-afternoon from the northeast. Tow pilot: Julie, 17 tows. The day started off warm. It hit 80° F. at a quarter to 8:00, 91° F. at noon, and a peak of 97° at relatively early 2:35. That is when the wind direction changed, and it went down a couple of degrees, but stayed in the 90s until 8:00 PM. Work continued on Big Bird, with the nosebowl getting filler and later primer. Julie was busy during the day, doing 17 tows. Harry Davies, Jeff Richardson, Andrew Ouellet, Richard Walker, Ethan Ronet, Morgan Hall, Carl Engel, Dan Clark, Skip Breidbach, Sergio Grajeda, Jim Rickey, and a demo flight by Harold. 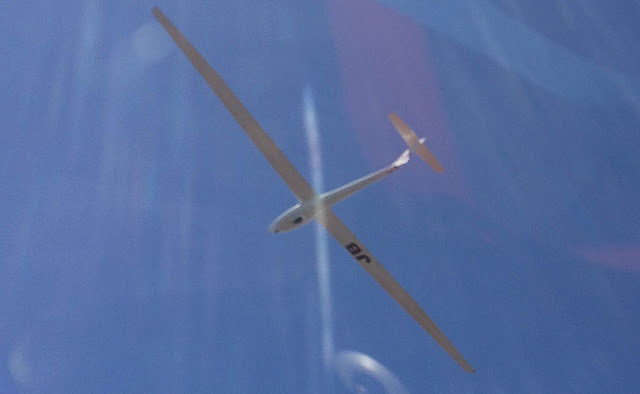 Carl Engel in the new-to-the-club DG-100 and Andrew Ouellet in his relatively new-to-him SZD-55 went out and had some fun together. 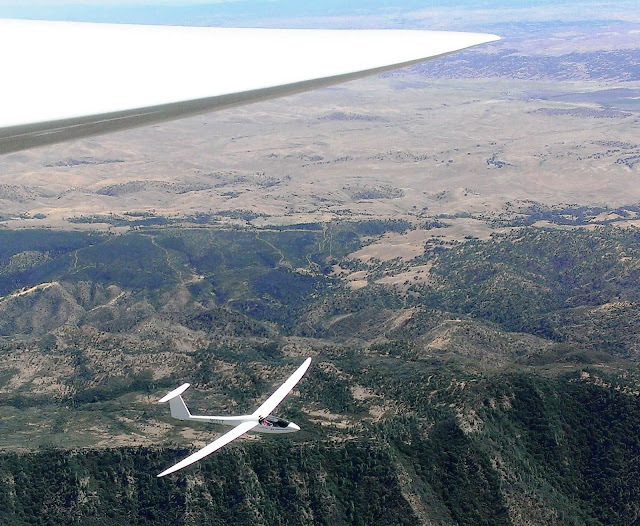 Carl Engel in the DG-100, photo taken by Andrew Ouellet in his SZD-55. Carl Engel snaps this picture of Andrew Ouellet in has SZD-55 over the hills. 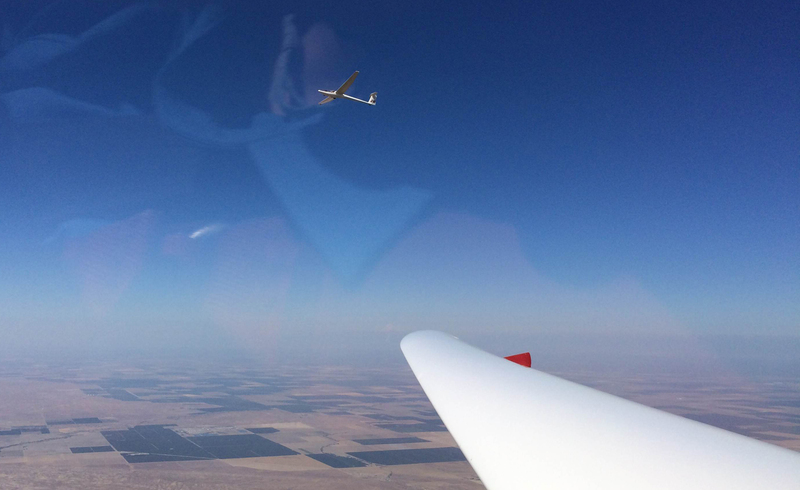 On a less exciting side of Avenal operations, we had a number of demo flights, seven in all, that gave people the chance to experience what glider flight is all about.